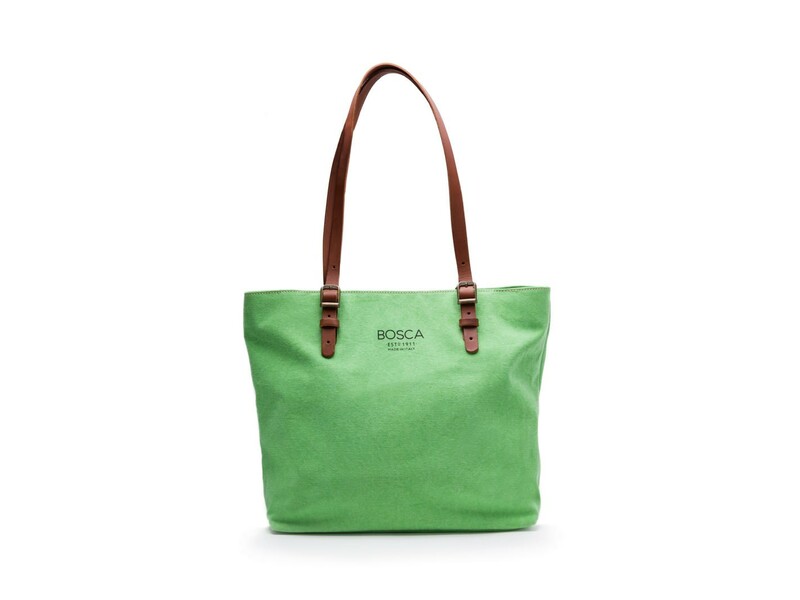 13.5" x 14.25" x 5.75"
Our Tuscan Tote Bag is a beautiful addition to our line of fabric and leather bags. The canvas fabric is luxuriously soft and durable, made to look good and withstand daily use. 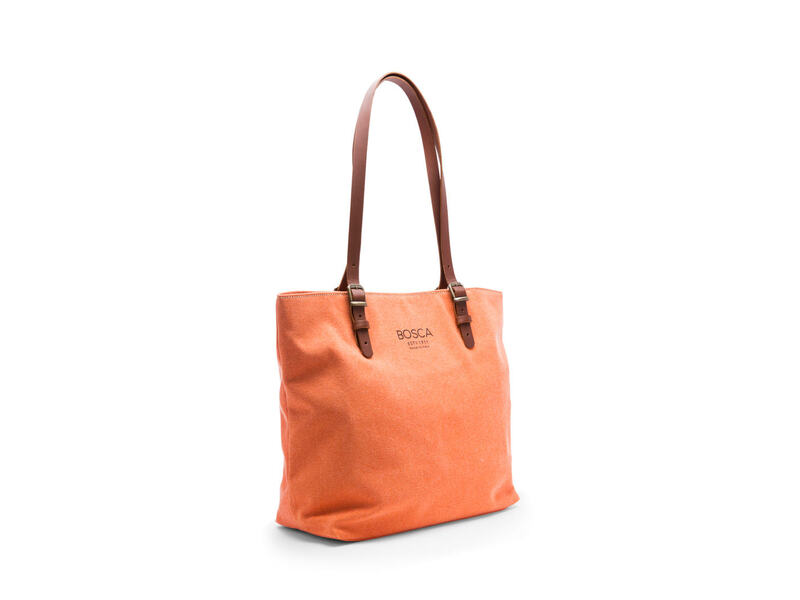 The solid leather straps are adjustable allowing the tote to become a handbag or hang on your shoulder. The main compartment is spacious giving you plenty of room for carrying just about anything you need. Inside you have a total of three pockets. Two pockets on the front panel and one zippered pocket on the rear panel. We make the Tuscan Tote Bag in a small factory outside of Florence, Italy in the heart of Tuscany. The craftsmanship and attention to detail are evident throughout the bag. The Tuscan Tote combines elegance and playfulness and is sure to be the perfect daily carrier.